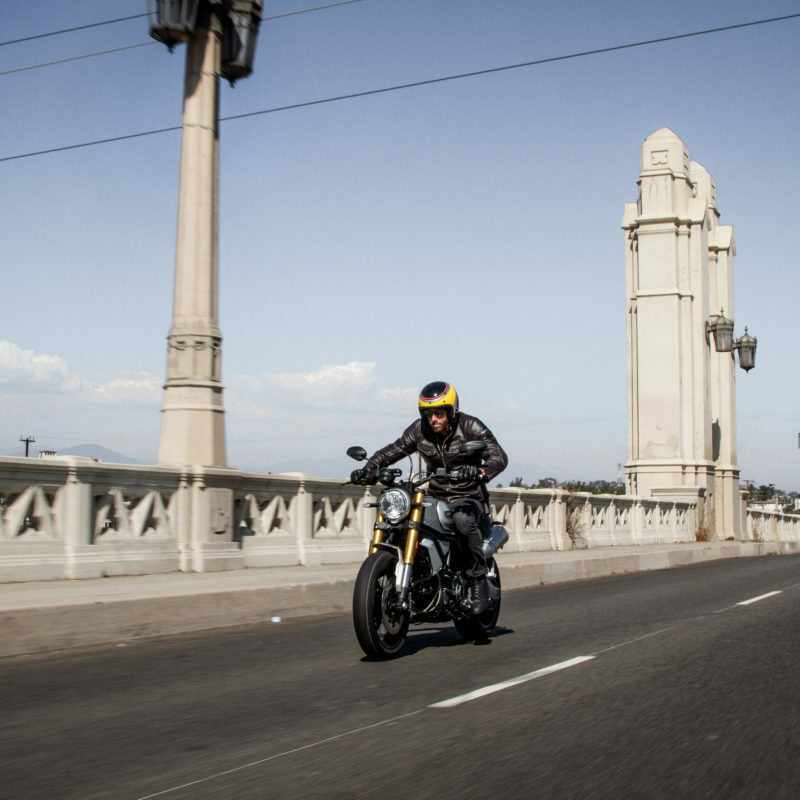 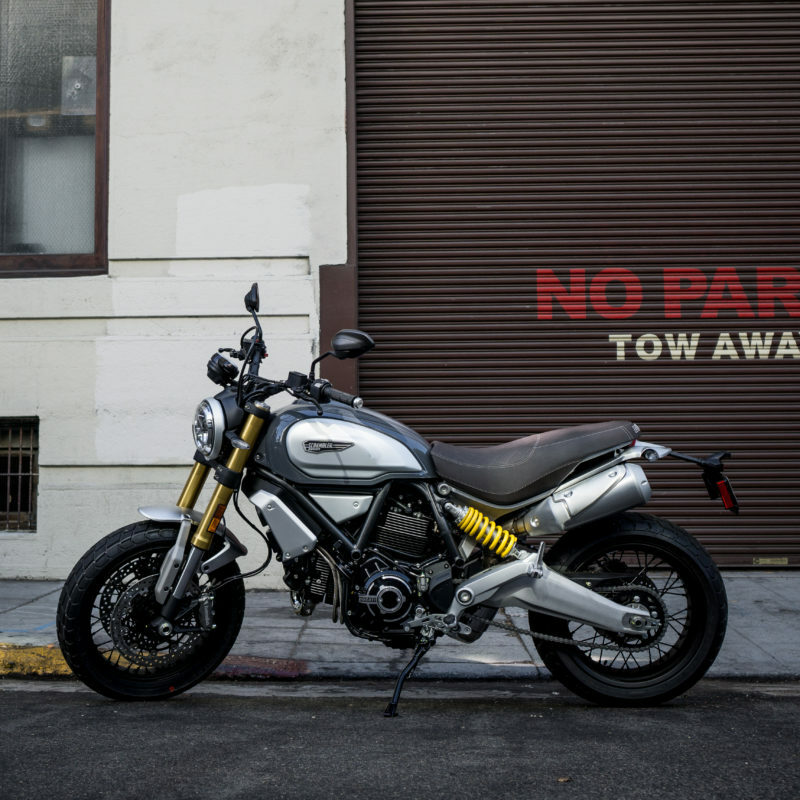 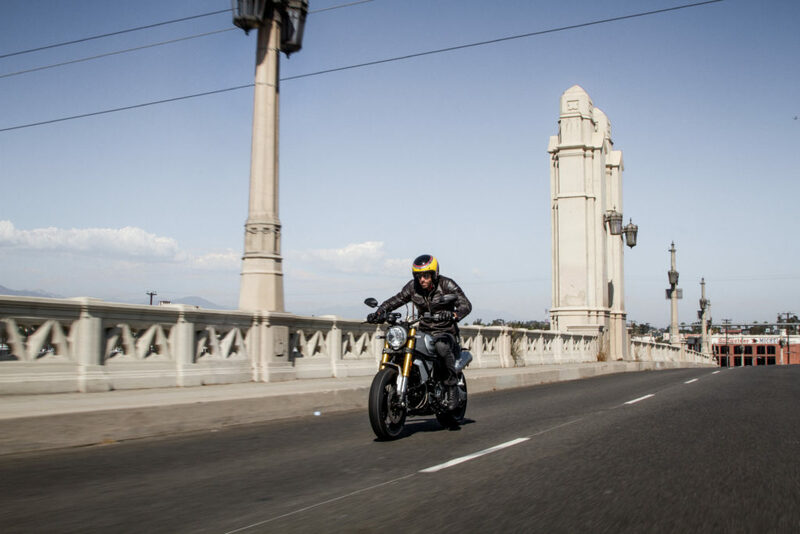 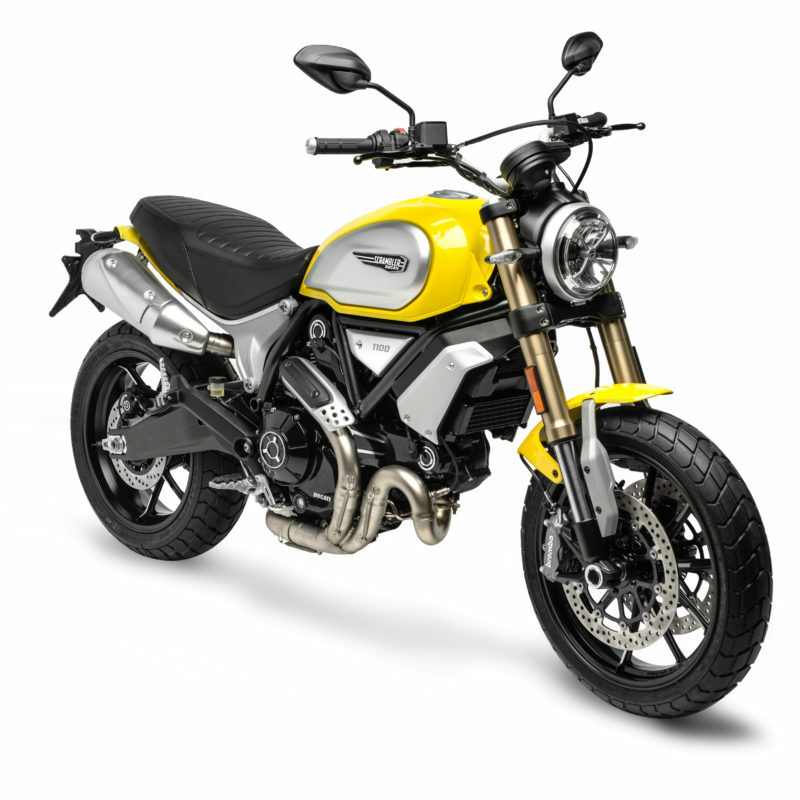 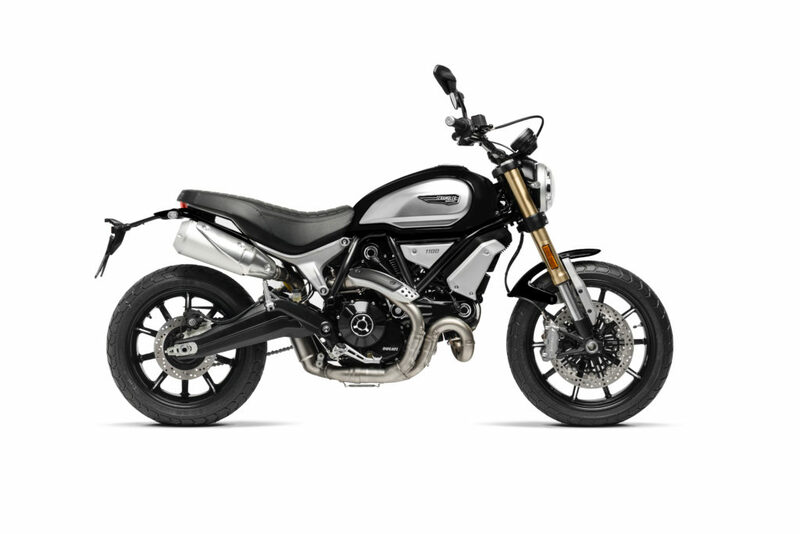 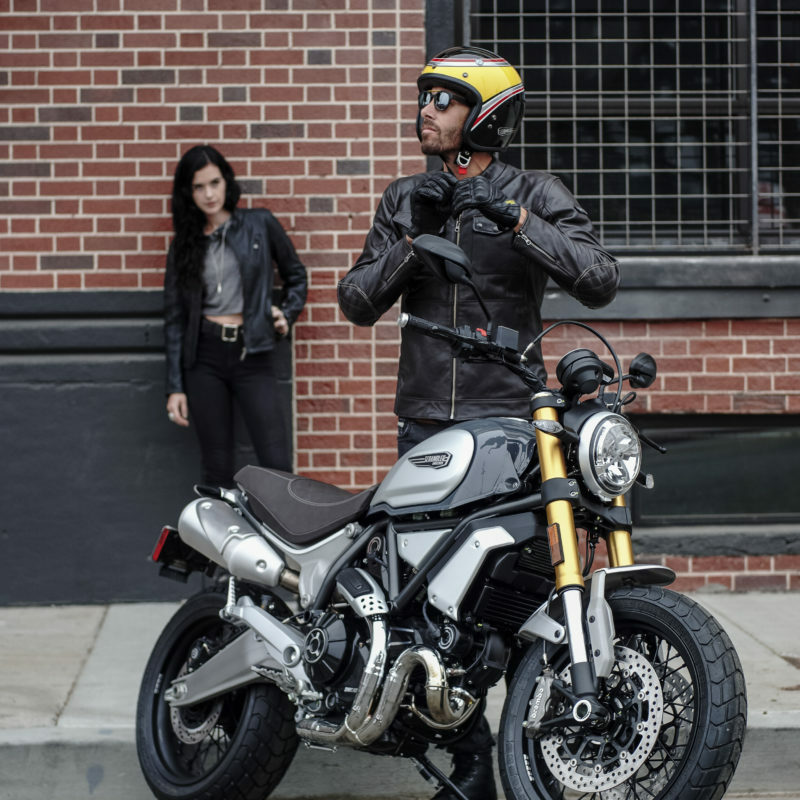 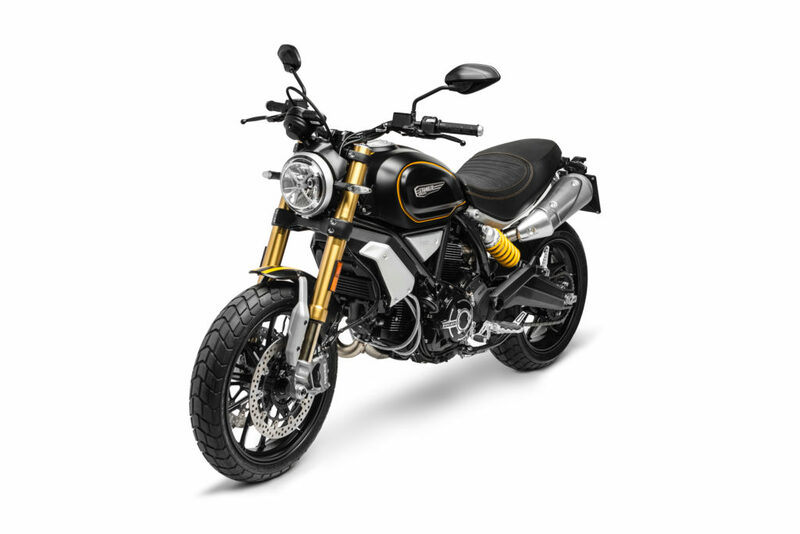 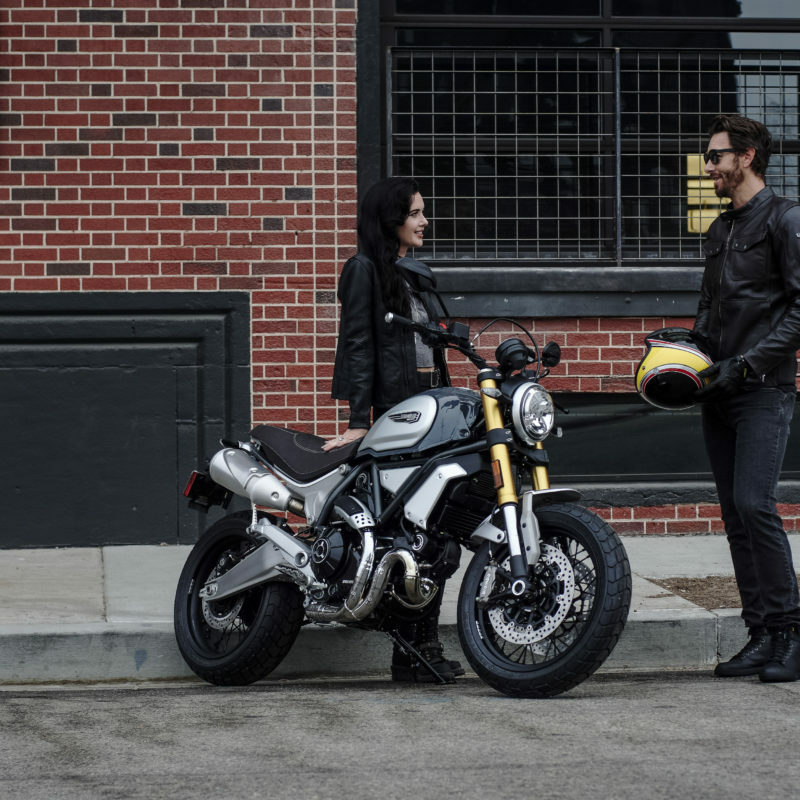 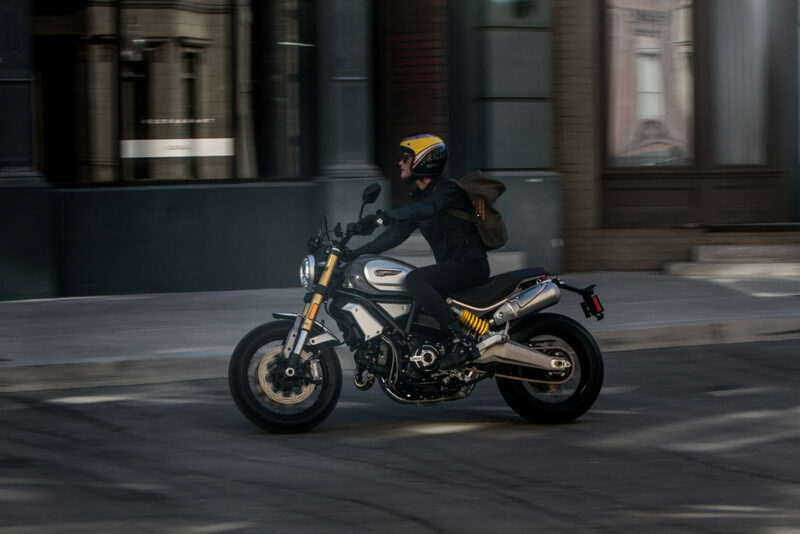 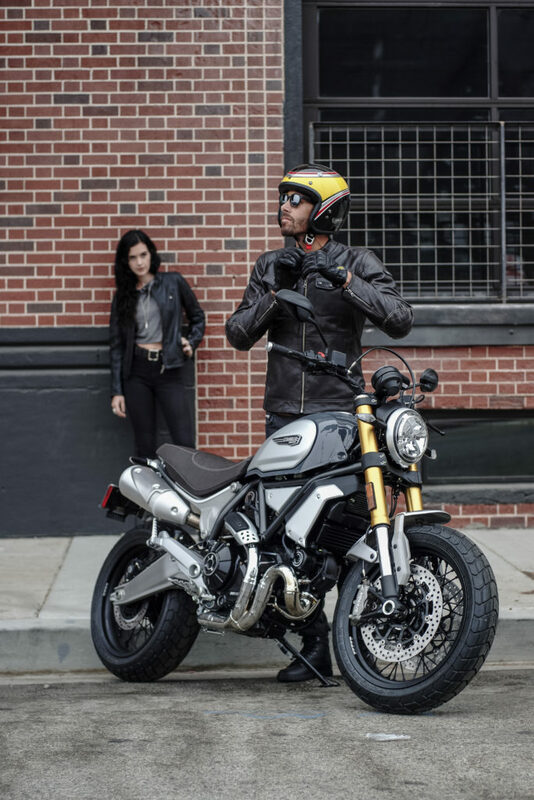 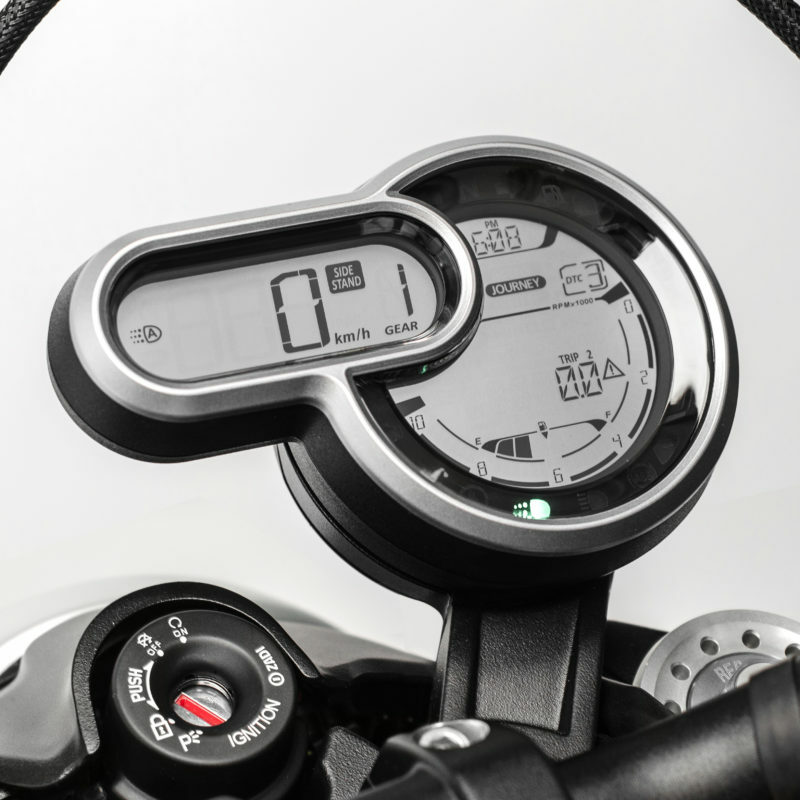 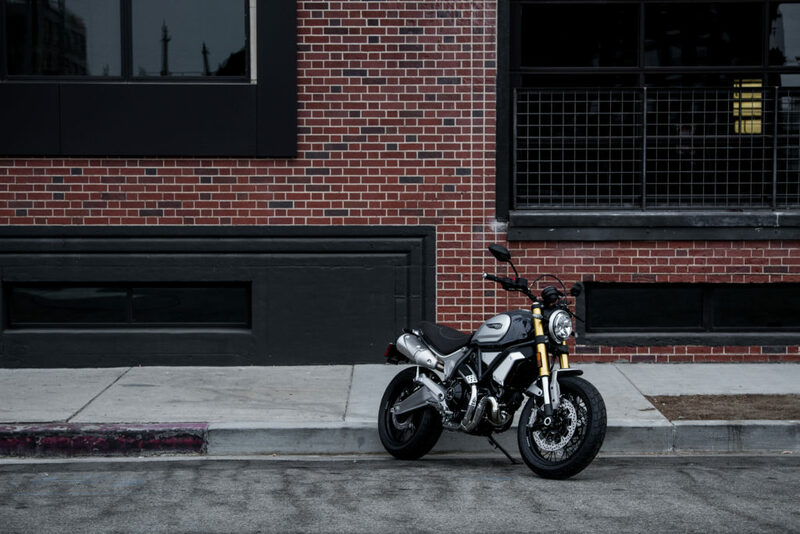 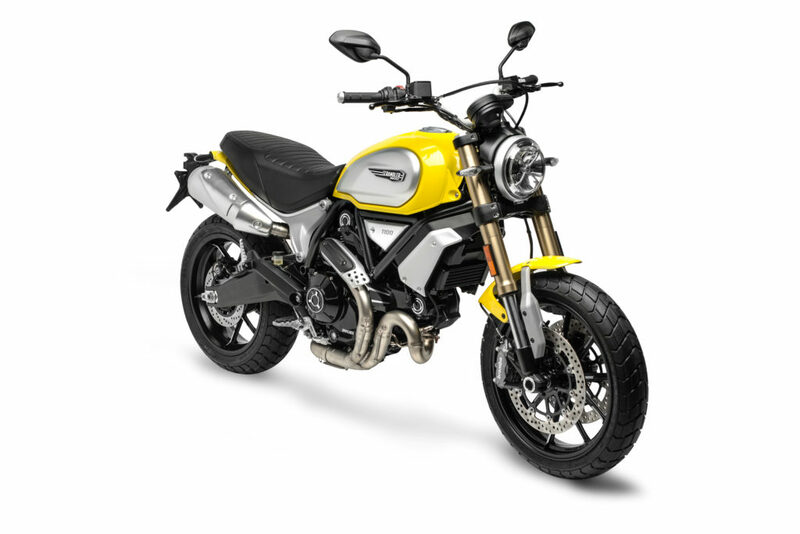 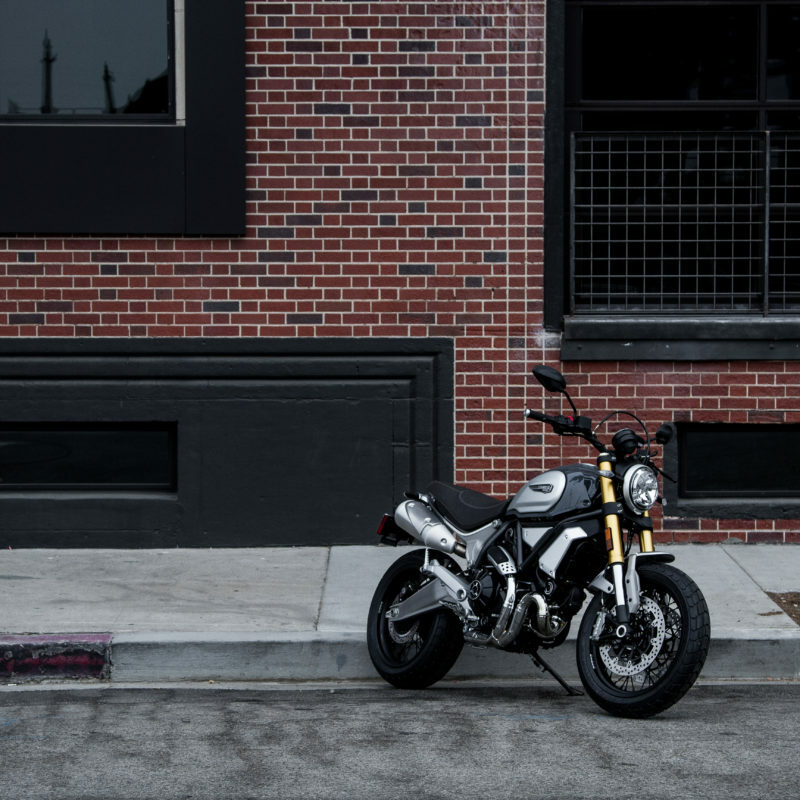 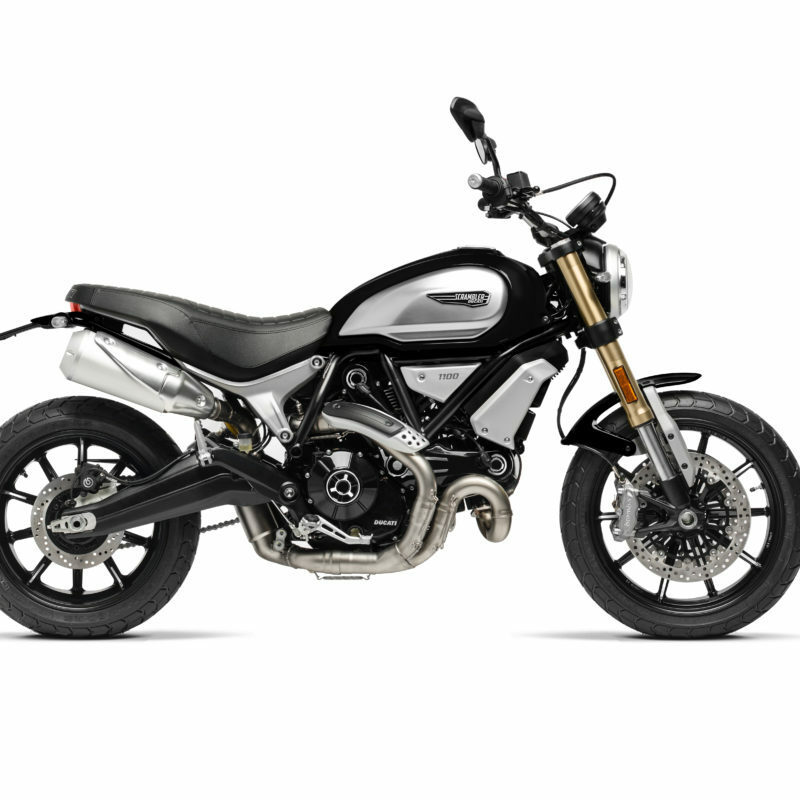 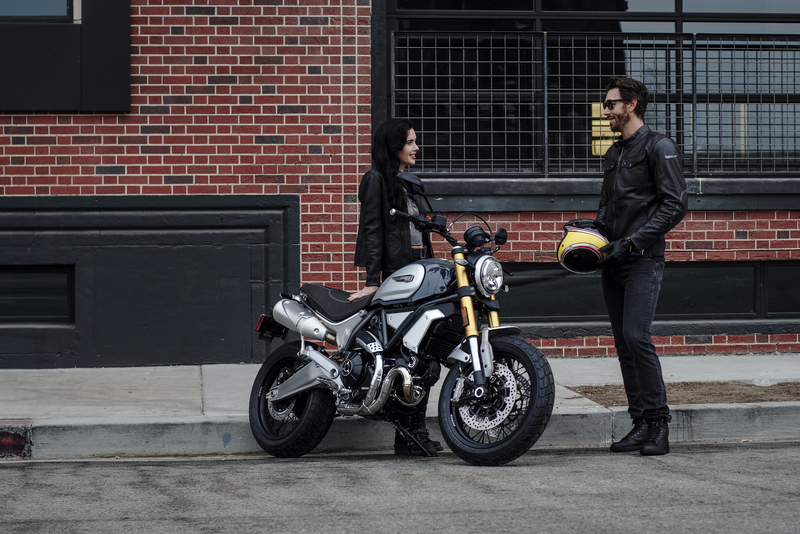 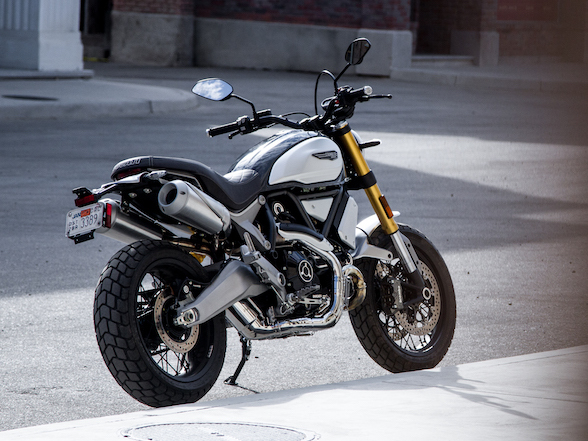 Ducati is hosting the launch of their new Scrambler 1100 in Lisbon, Portugal, establishing the full Scrambler family that now boasts twelve different versions. 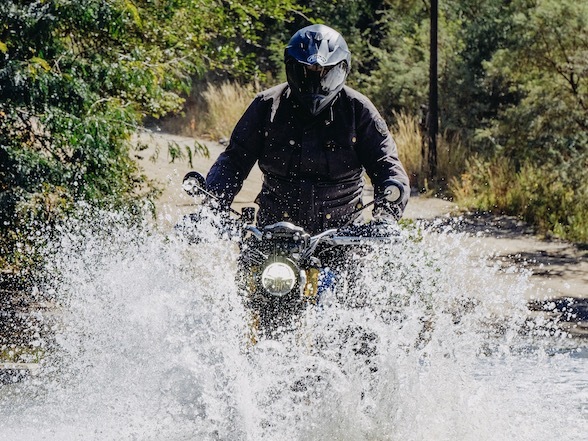 Donovan Fourie is currently there riding it and his views should be on this site either later today or latest tomorrow, depending on how well his dinner went last night. 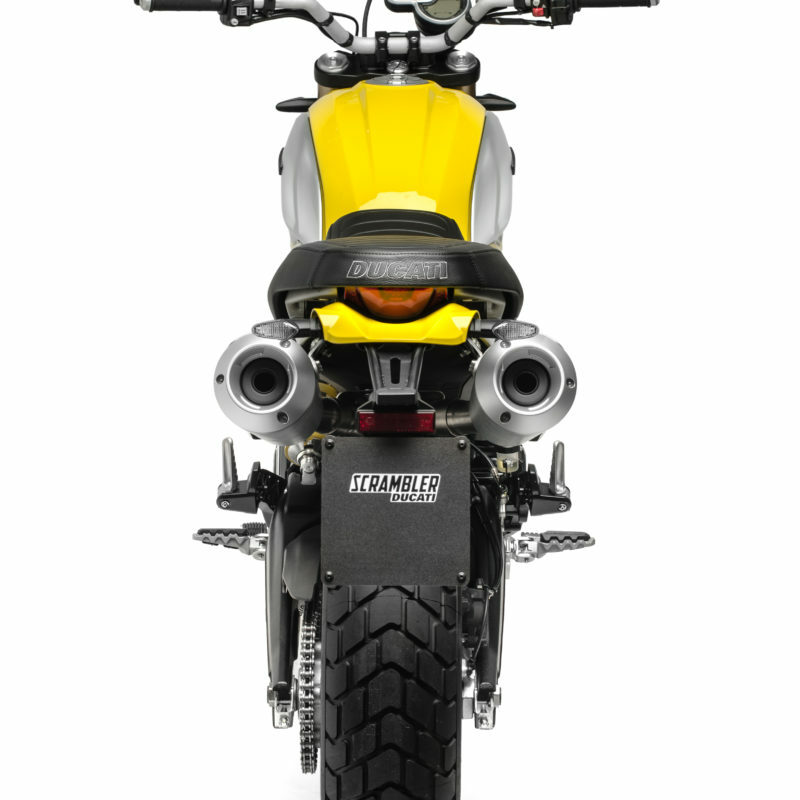 The theme for the 1100 is #RideBigger, meaning everything is bigger, and they mean that literally. 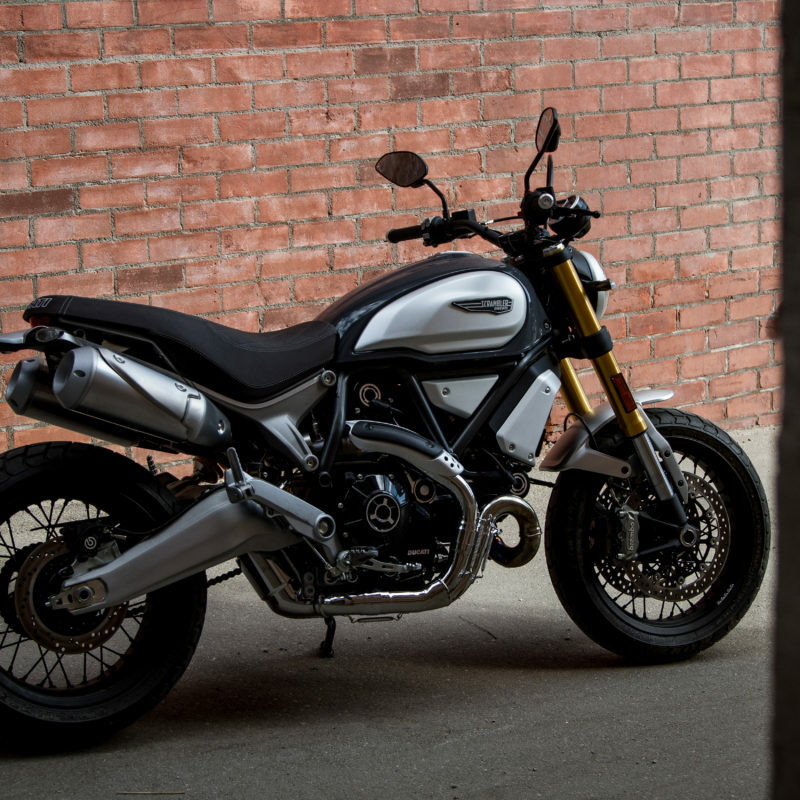 The chassis is entirely new and is, as you’ve guessed, bigger. 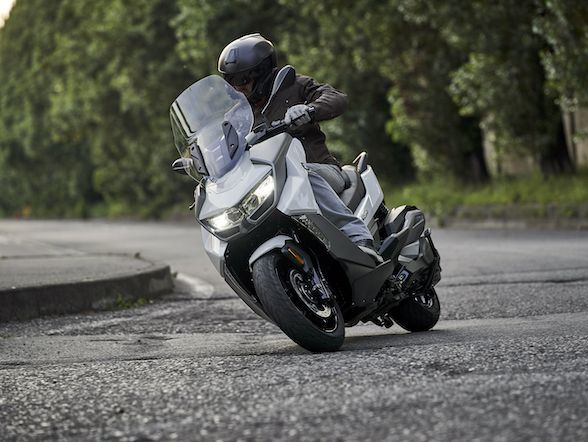 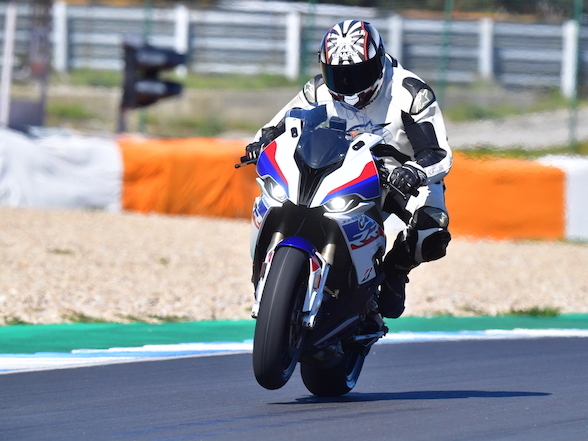 The wheelbase is 69vmm longer, the seat height is 20vmm higher, the bike is 50vmm wider and it weighs 19kg more than the 800. 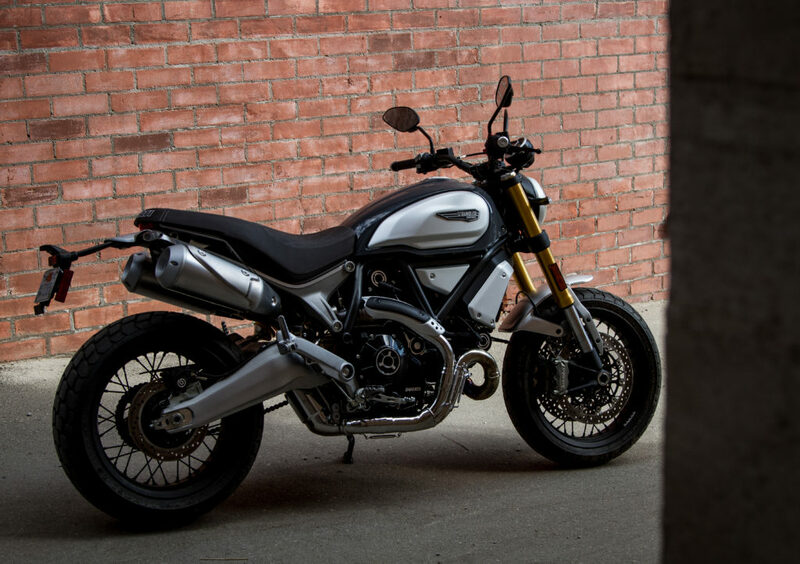 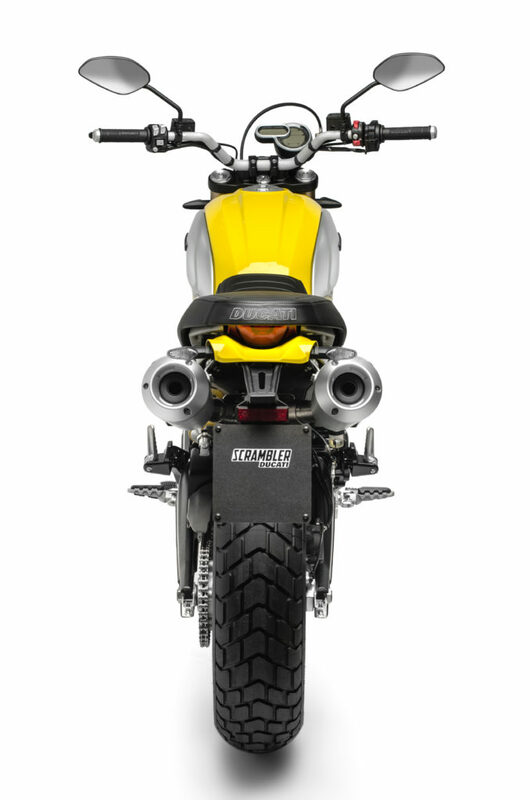 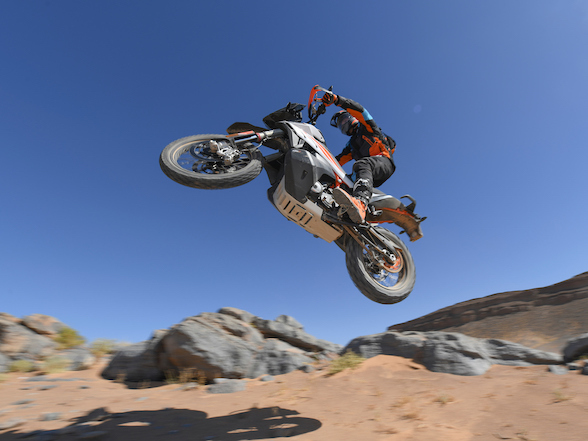 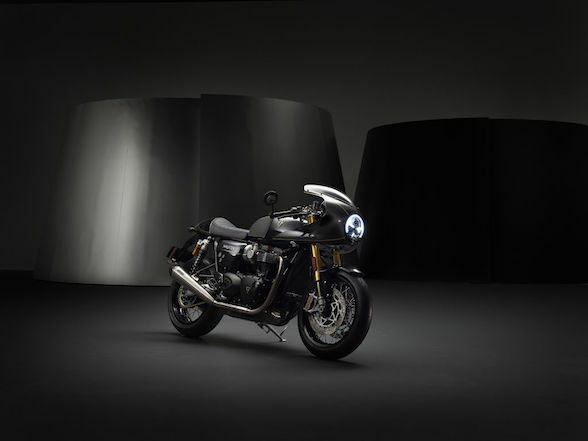 That’s the chassis, but the real peach in its quest for bigger-ness is the motor, the 1100cc, liquid-cooled, twin-valved, 90º V-twin, based on the motor last seen in the Monster 1100 Evo, and the motor seen in the original 1100 Hypermotard that is viewed by many as still the best Hypermotard Ducati has ever built. 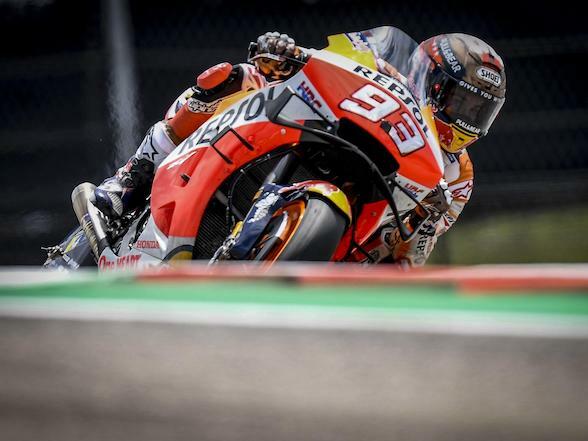 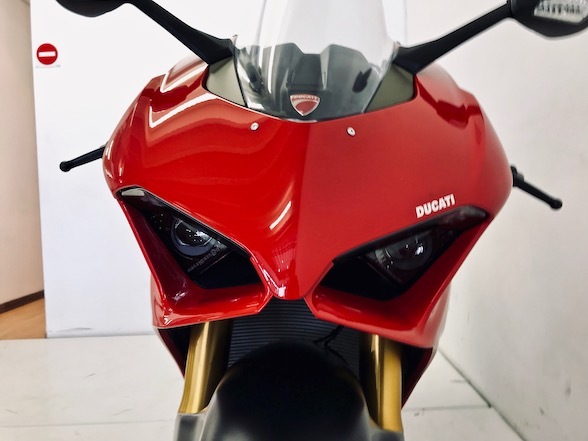 However, we say that this motor is based on that iconic mill, but the word “based” has a strong presence here – Ducati started with that motor but have methodically given it an overall, changing every little bit of it slightly. 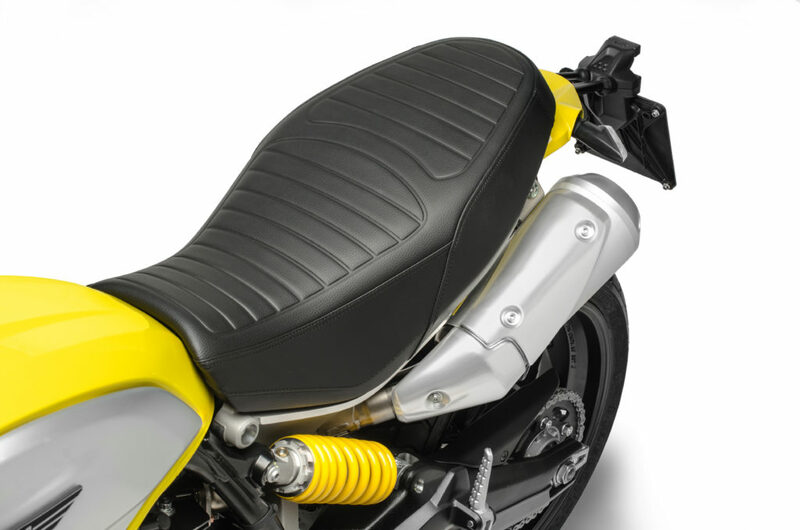 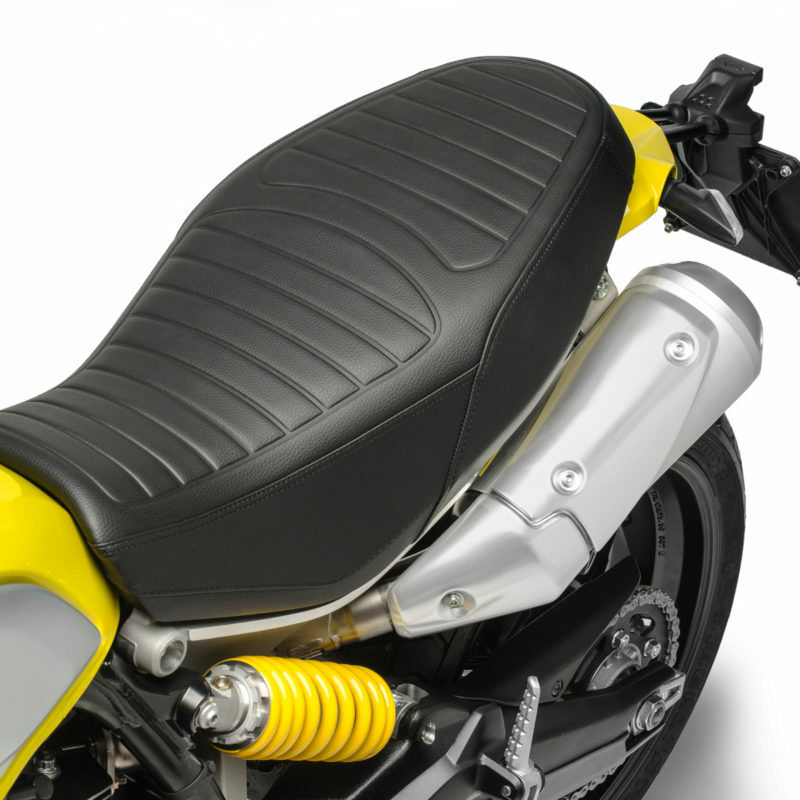 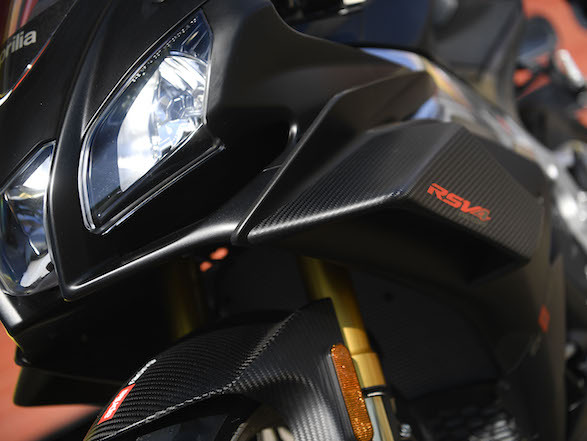 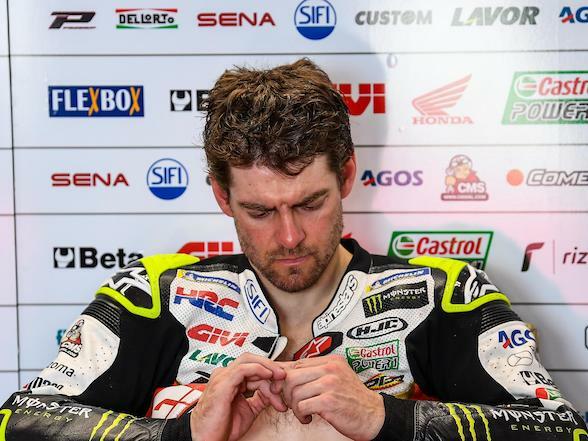 The biggest change is that the valves are now angled to be over-lapping, a trick they have used in all their modern motocycles and creates a far smoother power delivery. 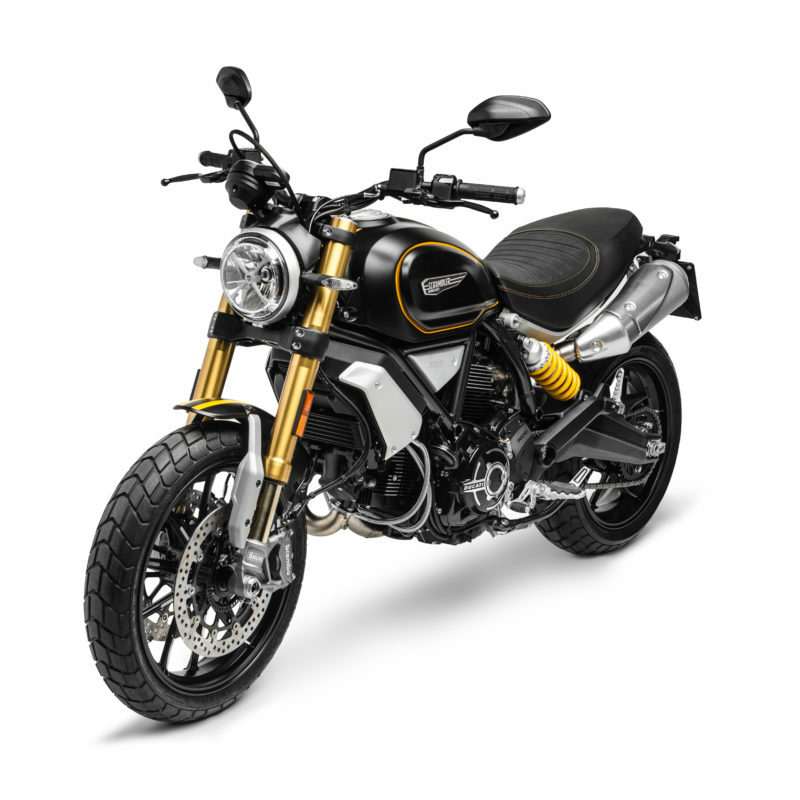 The result of this fettling is that it now pushes far less power than the original, churning out a far more pedestrian 86 hp. 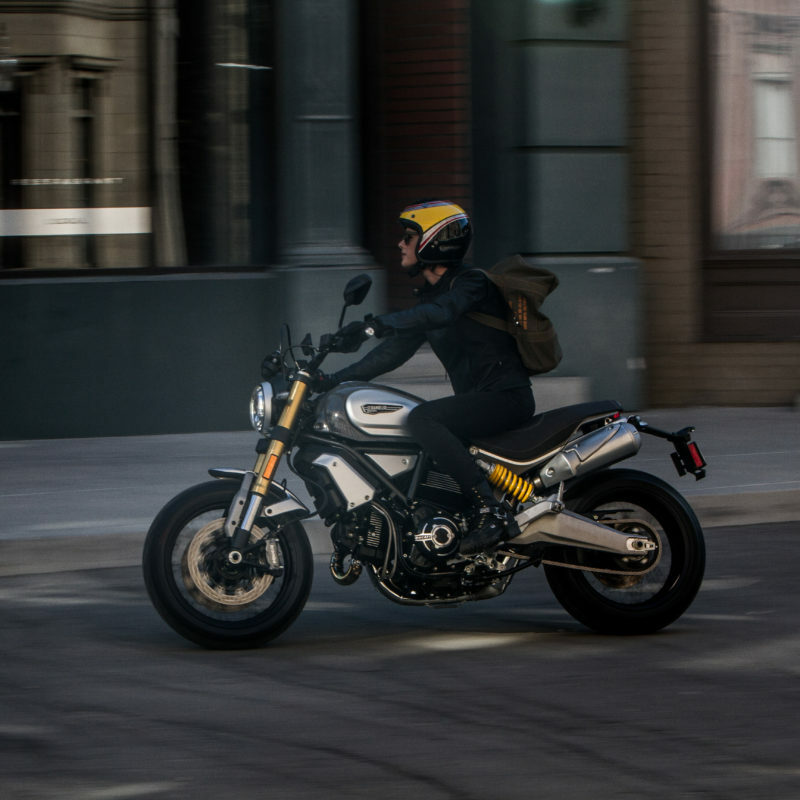 This may seem like a train smash to the speed addicts of the world, but let’s keep in mind that the Scrambler range was not created for the speedsters. 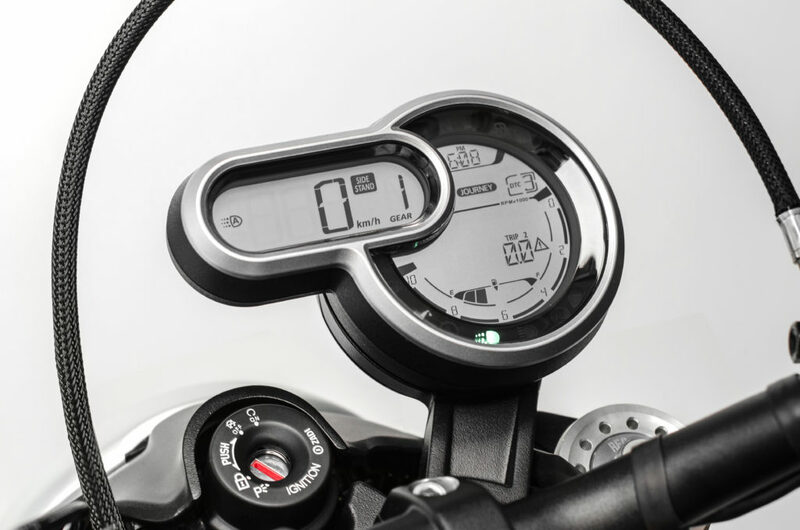 Instead of power, they increased the torque to 88 Nm, and more so it pushes that 88 Nm at just 4,750 rpm with a near-flat curve leading up to there. 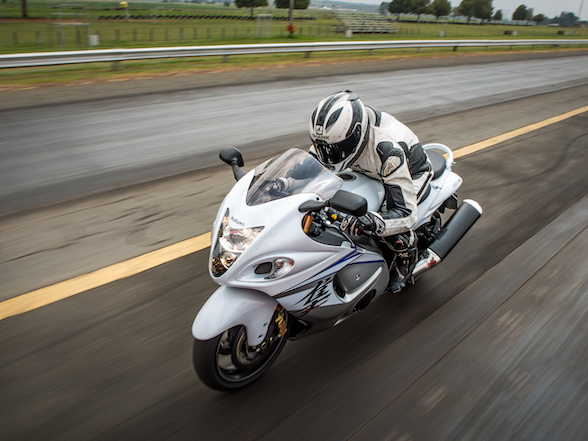 This should mean a bike that is perkier than the 800, but also ridiculously easy to ride at any speed.